The last day on a bike and a tough one. The morning started with the engines of the houseboat being turned on and an hour long trip up river (during which time we had breakfast), to an embarkation point and rendezvous with the support vehicle. This resulted in a later start than usual and meant we were later cycling through the heat of the day. After a lovely cycle along quiet and remote coastal roads (more coconut trees and lagoons), the highpoint of the morning was the trip across Valaazhikal Ferry. The description 'ferry' makes what was an oversized canoe sound a lot grander that it was but somehow this tiny vessel management to accommodation 15 bikes, 15 cyclists, a motorbike, two other passengers and the captain at the helm driving the whole thing. I got onto a flat place behind the bow as a temporary measure but as the boat filled up I found myself stranded there and had to make the crossing in a fairly precarious albeit flamboyant position. I was able to take lots of photographs but they all included shots of my knees - not pretty. The lowpoint was the pre lunch ride along a national highway to Quillon. This was grim but 'interesting', perhaps the worst stretch of cycling on the whole trip. The two lane highway was very busy, so busy in fact that it was difficult to cross. Instead of attempting the crossing 'local traffic' (pedestrians, cyclists, motorbikes and tuk tuks) stayed on the 'wrong' side and then made their journey against the flow of the traffic. 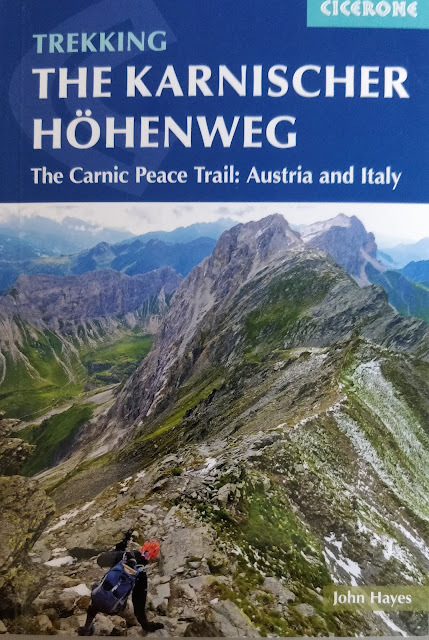 As a cyclist this made for a challenging trip with a journey between two flows of traffic - large vehicles to the right and a stream of dodgy 'traffic' inside on the left. To make matters worse, it was hot and windy. I guess it took about an hour to complete the 20km trip and 15 minutes later, after a quiet ride through more coconut groves, we were staring out to sea and enjoying one of the best meals of the whole trip. For once we really deserved it. Kingfisher from a bike - good shot - only 10 days trying! 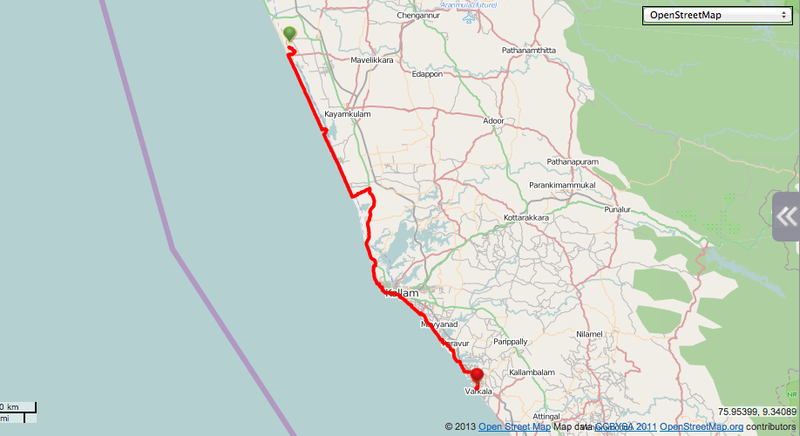 After days of near flat riding along the coast the last 15km to Varkala was just a little hilly. Good cycling though, despite the heat. The hotel was excellent and we had end of trip group photographs and beers around a swimming pool. It also had a number of interesting looking guests: a German in his sixties with an enormous well nurtured belly and a much younger partner, possibly Russian; and a British woman perhaps in her forties and an Indian man in his early twenties. The combinations generated much speculation. 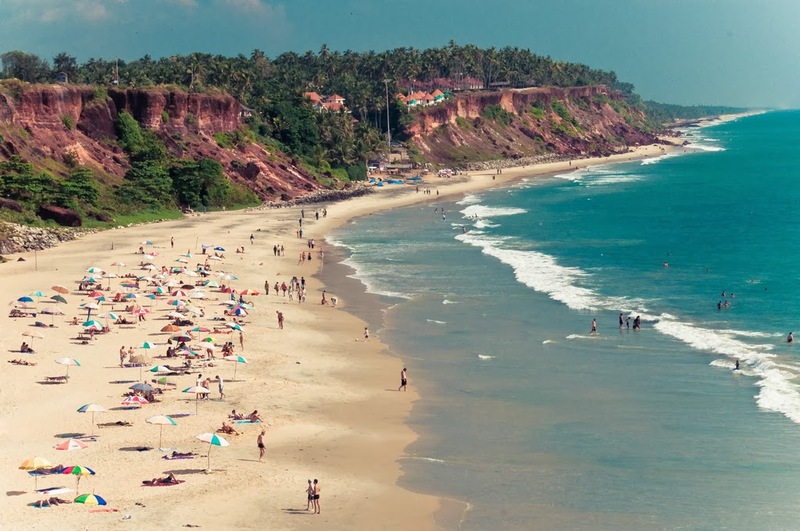 We spent the last day of our stay in India on the beach in Varkala. The beach is golden sand (always appreciated after the pebbles we put up with in Brighton), the waves were great and of course the weather was perfect. Although we missed them others in our party saw dolphins swimming just off the beach. For some reason I left my camera in the hotel and didn't take any pictures so the one below has been grabbed from somewhere else. Apologies to whoever took it.